One of the most important things you can do for your lawn is to provide it with regular fertilizing at the appropriate times of year. 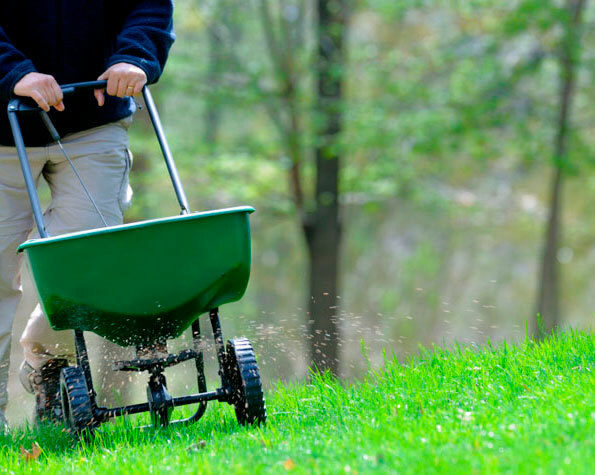 Fertilizing combined with annual or semi-annual aeration will help develop a stronger and deeper root system to better enable your lawn deal with heat, cold, and drought we often experience in San Jose. Your lawn is hungry from its’ cold dormant winter months. 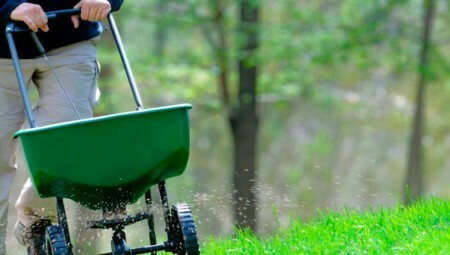 An early spring application of fertilizer will strengthen roots and prepare your lawn for the growing season. If needed, a pre-emergent control for broad-leaf weeds and crabgrass can be applied at this time. Your lawn is using nutrients quickly during this active growing period. Broadleaf weeds are also growing during this period and will need to be controlled. If required, a Weed and Feed fertilizer would be appropriate during this period. Fall feeding is one of the most important of the year. Another application of a weed and feed type fertilizer for broadleaf weed control may also be appropriate at this time. A final feeding will help prepare your lawn for winter. This application will promote healthy roots for a good spring green up. Roots remain active in storing energy for the winter and for spring. Servicing San Jose and the greater Silicon Valley.